For most people, having debt in their lives is a normal occurrence. But of course, there are limits to that debt and the weight it has in your budget. Countless people feel that this dream of being debt-free is absolutely out of reach therefore they simply do not even try to eradicate the problem. There are numerous methods in which one can attain a completely debt free lifestyle, however; it will take dedication and perseverance. One of the first goals that one will need to attempt to achieve is to set a reasonable budget that everyone in the household can agree to. If one is single then they will need to be especially motivated to complete the budget and stick to it on a monthly basis. 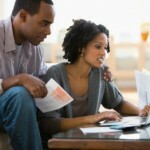 If a married couple wishes to become debt-free then they will have to both agree to a written plan. In addition to agreeing to the budget, a married couple will have to be there as a source of inspiration to one another to keep paying down the debts that they have incurred. It is imperative to have separate categories for each bill that is owed. In addition, it is important to have separate budget allocations for entertainment, retirement and emergency situations. Setting up an emergency fund is necessary as one simple setback such as an unexpected medical bill or car repair can be very costly. Most people would choose to put that expensive emergency on a credit card however one would rack up hundreds of dollars in interest over time simply by repaying the original debt. Can You Pay Less Than What You Owe? The next step in the debt eradication process will be to organize ones debts from smallest to largest. When you choose to prioritize debts, you can easily see how much is owed. Making a list of creditors that are owed will also help one to figure out the current outstanding balance on each account. Sometimes if one works diligently enough they may speak with creditors and come to an agreement in which that can pay down their debt faster than normal. Some creditors will opt for one to pay a lump sum amount for substantially less than what is owed if one can pay them immediately in cash. 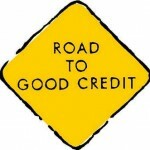 It is important for one to stay focused on becoming debt-free. It can be easy to see all of the nice amenities that others might have, but remember that they are probably swimming in credit card debt just to keep up appearances. Most people would rather live a debt-free life than have the stress of debt so it is important to keep focused on the end result of being debt free.